Amazon is expanding in Australia and, to help keep up with customer demand and its increasing inventory, the online marketplace has set plans in motion to establish its second warehouse in the Western Sydney suburb of Moorebank. The new 43,000 square metre fulfilment centre will complement the one in Melbourne, which was up and running in October 2017, in time for Amazon to launch Down Under in December. "Sydney represents another important development for our growth strategy in Australia, following a steady and progressive increase in customer demand," said Amazon Australia’s operations director Robert Bruce. With a new setup comes the need for more manpower. 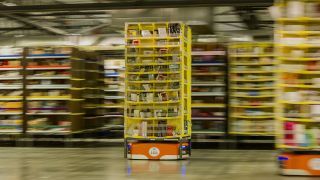 Amazon will begin recruitment for technical specialists, operations managers and support staff immediately, a move welcomed by Liverpool mayor Wendy Waller. “This is a great win for our local community; the Amazon facility will be a boon for South-West Sydney and we look forward to having good jobs for people close to where they live and having a partner involved in the local community,” she said. Amazon plans on having the new Sydney warehouse operational in the second half of 2018, but an exact date is yet to be set. The online giant hopes the facility will take care of existing and future customer demand and expedite deliveries across the country.